One thing that is very eye catching when it comes to Indian wedding celebrations is the presence of the intricately designed Indian wedding cake. One can see from just a glance that these cakes come as real pieces of artwork. Looking at the images displayed online, you can find real replicas of Indian temples with cake decorative motifs that can be seen on the outside of these ancient temples. Others have decorative details of the most representative symbols of Indian belief and culture. The unique design is that makes Indian wedding cake differ from the rest of other wedding cakes, since the form of the three or several tiers is similar with the Western formats of wedding cakes. This design is most of the times representing the culture where the wedding couple originates from, so one can easily recognize this feature by looking at the intricate design approached for the overall aspect of the cake. Other Indian wedding cakes which are made for Indian couples residing in other country come as a combination of modern with past culture, this fact being quite a challenge for cake decorators. 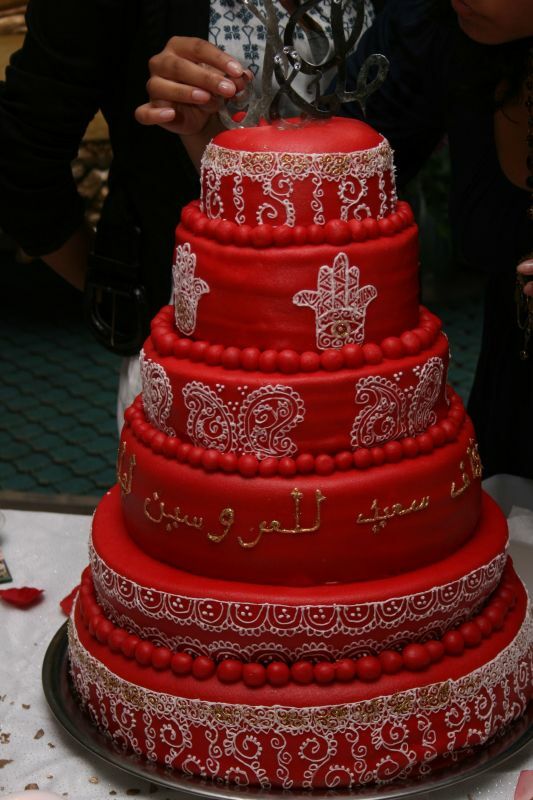 The dominant colors of the icing used with Indian wedding cakes go for red and golden. This is the reason why these cakes can cost a lot not to mention the use of the intricate decoration which adds as well to the total costs of the cake. When the couple will choose to have their cake designed as a replica of Buddhist temple for instance, then the costs can raise very high. There are many details introduced in the creation of this specific cake, putting the skills and craftsmanship of the cake decorators at a real challenge. If couples choose not to order for their cake simply because the costs are too high, given the fact that Indian wedding events generally occur with many guests attending this special occasion, they can have this element of their wedding reception done by their families. Many families are skilled in preparing bakery products and if it happens to have in family people working in this industry is even better. In case you have opted for this home-made alternative, then make sure that you choose the type of Indian wedding cake that represents your beliefs and your personal style.